Did you know the Sikorsky Sea King was the first amphibious helicopter in the world? Both Sikorsky Sea Kings and Black Hawks posses unique parts and capabilities. 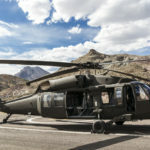 If you’re in the market for military helicopter parts, here’s your brief guide to the basic parts of both the Sea King and Black Hawk that you’ll want to be aware of when purchasing. This beast of a helicopter was developed during the Cold War in response to the massive Soviet fleet of highly varied submarines. The United States found it necessary to ramp up their anti-submarine warfare (ASW), and thus, the Sea King was born. The Sea King has a twin turboshaft engine and is fully amphibious. This basically means this helicopter is capable of landing in and taking flight from land and water. The twin turboshaft engine allows the Sea King to be larger and heavier than other helicopters, while still performing it’s needed functions easily. This larger build also means the Sea King was able to carry a larger payload than previous helicopters. This amazing helicopter is even capable of carrying a B57 nuclear bomb, and up to four torpedoes. It’s water resistant hull makes it akin to a flying boat and the Sea King is also equipped to operate under all types of weather. It is the first helicopter with parts necessary to both hunt and destroy submarines. Further versions of the Sea King included the Sikorsky S61-L used more for civil operators and the Sikorsky S61-R which is used more often for the Coast Guard search and rescue units. 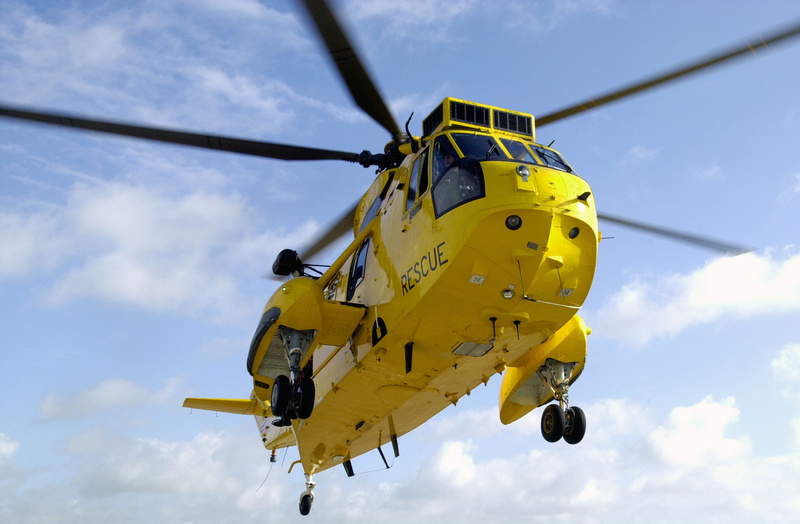 We’re heli-sure the Sea King is one of a kind. If you haven’t seen the movie, “Black Hawk Down,” we’ll fill you in. These are some of the most versatile military helicopters out there. The Black Hawk has four blades and a canted tail rotor with a rigid crossbeam. As far as parts go, the UH-60 can be outfitted not only with heavy armament but also with electronic warfare systems. It can also become equipped with stub wings at the top of the fuselage so it can carry fuel tanks or different armaments. The Black Hawk can carry such missiles as the AGM-114 Hellfire, AIM-92 Stingers. 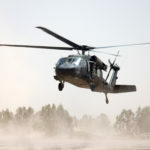 If engines get your goat, the Black Hawk’s latest update includes two General Electric 701D turboshaft engines so the Black Hawk can not only maneuver in crazy formations, but it gets great speed. Before making the decision to purchase helicopter parts, it’s not only valuable to be aware of what options you have but the quality of the manufacturer making the parts. Be sure that any new, or replacement parts you purchase meet the original performance and design standards of the helicopter. For increased confidence in the quality of helicopter parts we have to offer, take a look at our company history.